The Gonzo Mama: Shop Gonzo for the Holidays! Shop Gonzo for the Holidays! Do you have a reader on your list? 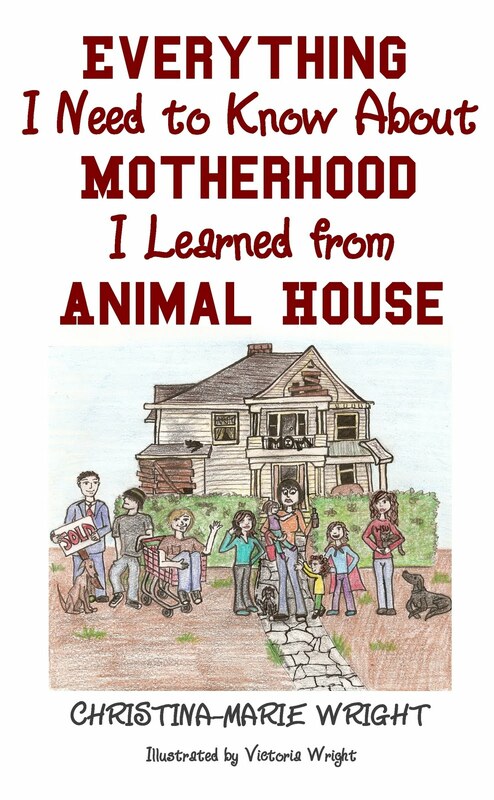 Everything I Need to Know About Motherhood I Learned from Animal House is riotously funny, and at just $10.00, it's perfect for that office gift exchange. 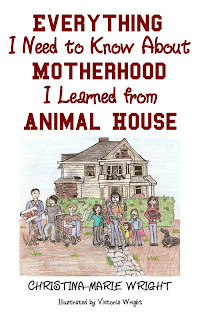 Or, snag a few copies and dole them out to your favorite mommies and daddies. If you're in Chelan, pick up a signed copy at Riverwalk Books. In Leavenworth, stop by A Book for All Seasons. Every Gonzo Mama fan needs some swag. 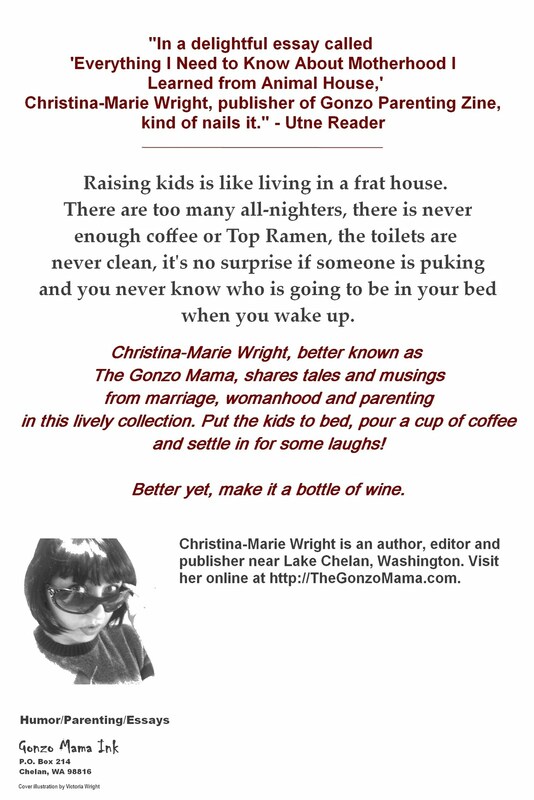 That's why the super-cool folks over at Zazzle are stocking The Gonzo Mama's gear this season. Something for your beer lover? It's here. For your little bow-wow? Check these out. Key chains and flair? Yup. We have tote bags, including organic-fiber. Shirts? Hats? Neckties? Get 'em here. Covers for your iPhone and iPad? Yes, yes, yes! Remember... by shopping Gonzo, you're supporting a worthy cause - and by "worthy cause," of course, I mean keeping The Gonzo Mama's Starbucks and Southern Comfort budget in the black.